Flip a coin. If heads your opponent looses the match. 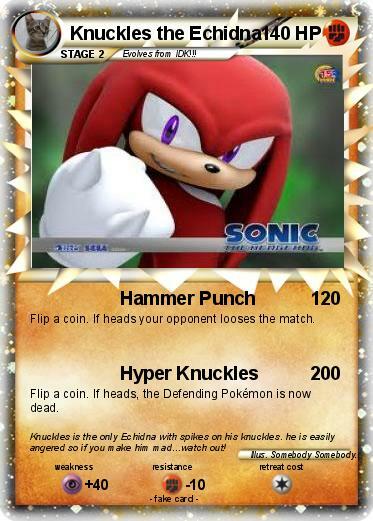 Comments : Knuckles is the only Echidna with spikes on his knuckles. he is easily angered so if you make him mad...watch out!